Iran's secret trial of Washington Post correspondent Jason Rezaian resumed Monday, after a month-long pause, and there was no immediate word on any new developments. According to Rezaian's brother Ali, the defense lawyer in the case is "barred from discussing the court proceedings." Marty Baron, the Post's executive editor, called again on the Iranian authorities to "deliver a speedy, fair and impartial judgment in Jason's case, one that could only result in his acquittal, immediate release, and a long-overdue reunion with his family." Rezaian and his wife, Yeganeh Salehi, were arrested at their home in Tehran nearly one year ago, on July 22. Salehi was later released. Rezaian's detention has been decried by journalists and human rights advocates all around the world. With nuclear talks ongoing between the United States and Iran, some analysts have described Rezaian as an unfortunate pawn in a complex geopolitical process. The first hearing in Rezaian's trial was held in May. Rezaian's family members were not allowed inside the courtroom to see him. There was a second hearing in early June, and then a long break. Monday's hearing also came and went without any substantive new information, and Baron said in a statement that "no date has yet been set for these proceedings to resume." Baron called it a "so-called trial." 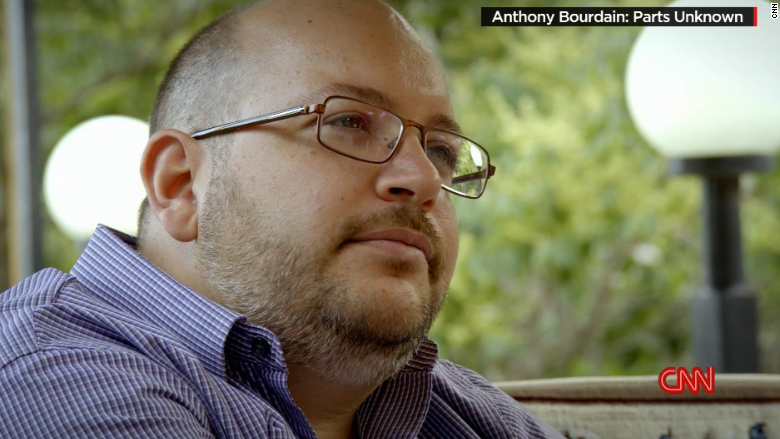 He has flatly denied the charges against Rezaian, which include espionage. In an email message, Baron confirmed that the Post still has not been able to send a representative to Iran for the trial. The newspaper has been seeking a visa so that a senior editor can try to attend the hearings, but the requests have not been granted. Baron said in Monday's statement, "it is long past time to bring an end to the nightmare that began" with Rezaian's arrest.